You’d be better off without a website than having one that’s cookie cutter, outdated, or slow. Your digital first impression is that important. Why choose a vendor that has you looking like everyone else? 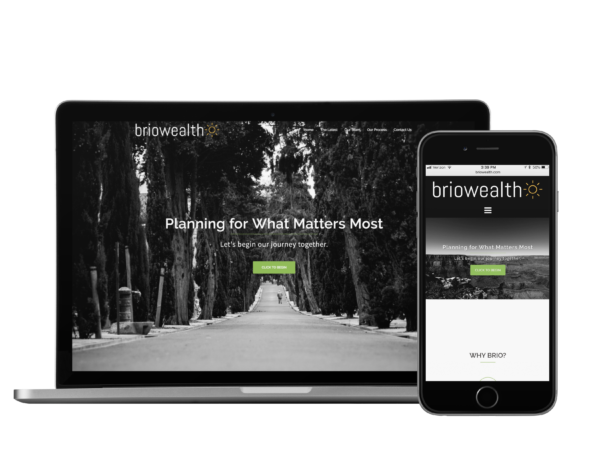 You are a high-end financial advisor…shouldn’t you go for a high-end financial advisor website? Fortunately, getting a new website isn’t as time consuming as it once was. 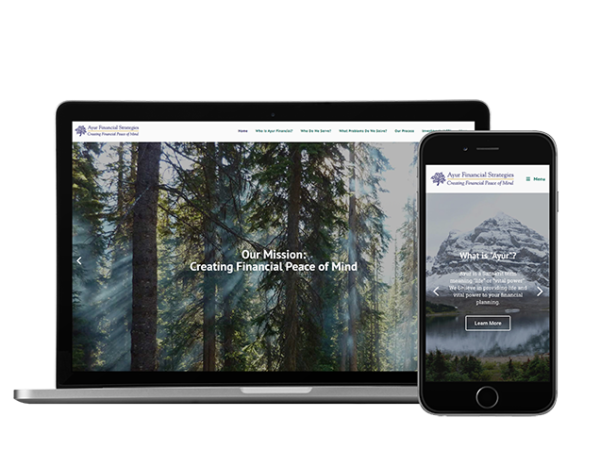 We create wow-factor websites for financial advisors that won’t break the bank. 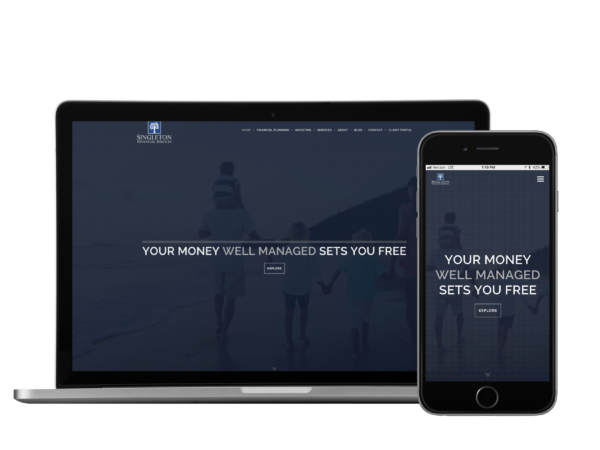 Our goal is to build websites for financial advisors that create “wow” reactions from the first page to the last. Fortunately, we have a team of talented professionals who have passion for building great sites. You probably have a wish-list in mind when it comes to building your new site. 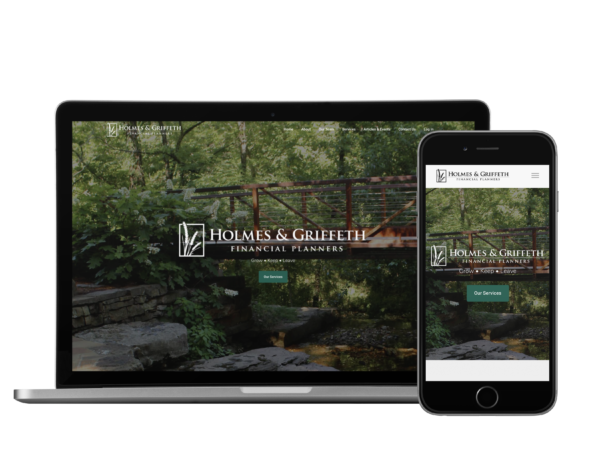 Whether it’s features you want or design concepts you like, we’re here to combine these elements into a cohesive, high-functioning site. 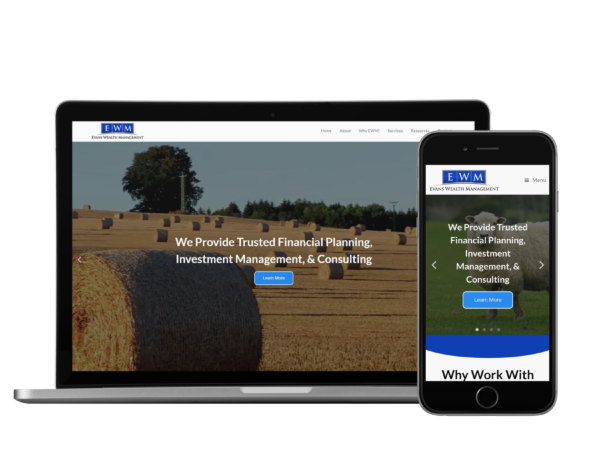 Some companies reuse the same designs over and over, making you one of many financial advisors whose website looks the same. It’s easier on them, but leaves you looking boiler plate. Fortunately, that’s not the case with our financial advisor websites. 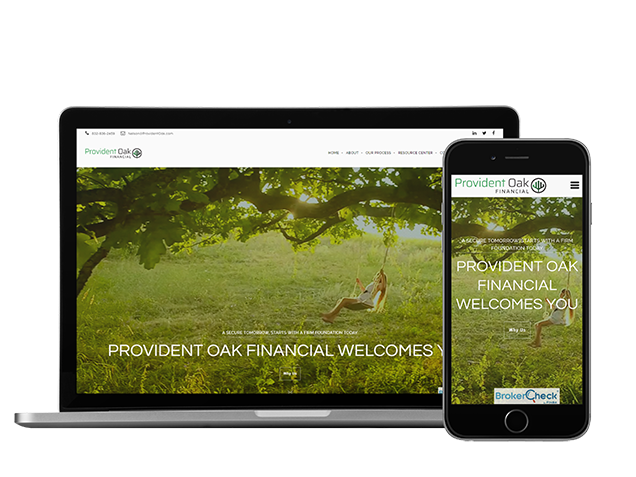 We build our financial advisor websites with the same technology used to build ours. 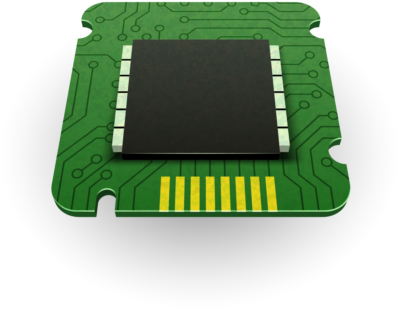 For that reason, we know it’s fast, dynamic, and has all the latest features. Mobile traffic now outweighs desktop traffic, so we spend as much time on the mobile version of your site as we do the desktop version. We’re happy to make edits for you, but we’d like you to be able to make edits as well. 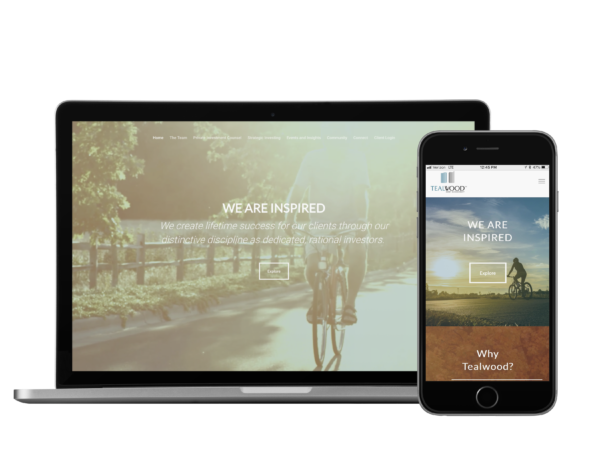 Essentially, you’ll know how to update your site as your business evolves. 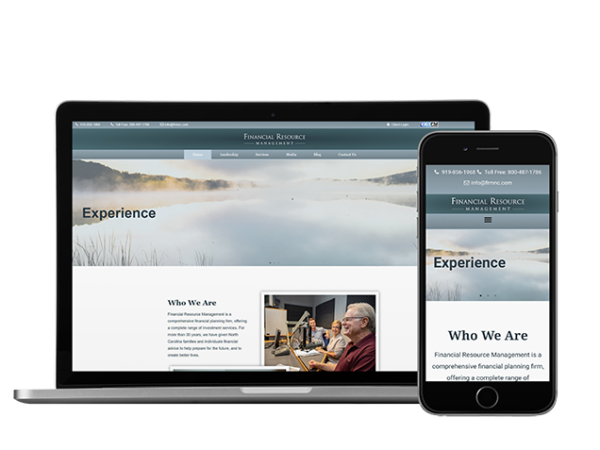 Our focus on the client experience comes from our many years of having our own websites built by other vendors. Essentially, we found providers who were great with technology, but poor with communication. We would get a matrix of support options – website chat, 1-800 numbers, etc, yet still somehow get poor response times. If you’re a financial advisor using our website services, just reach out when you need us. Really, no kidding, you have a direct line. We’re quick, whether it’s a design change during your website build or a feature request down the road. Plus, we’ll be reaching out to you for a design refresh in 24 months. 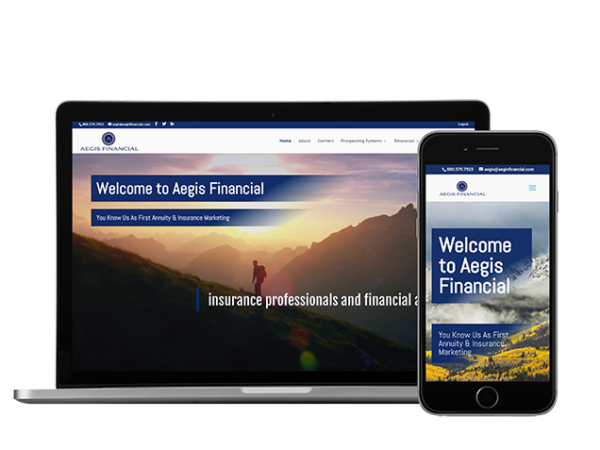 It’s a great time to update the look, add new features, and keep you up to speed with the newest technology. Best of all, this is included in your monthly fee. Why would I switch to you? Why is your pricing set as a down payment and monthly fee? 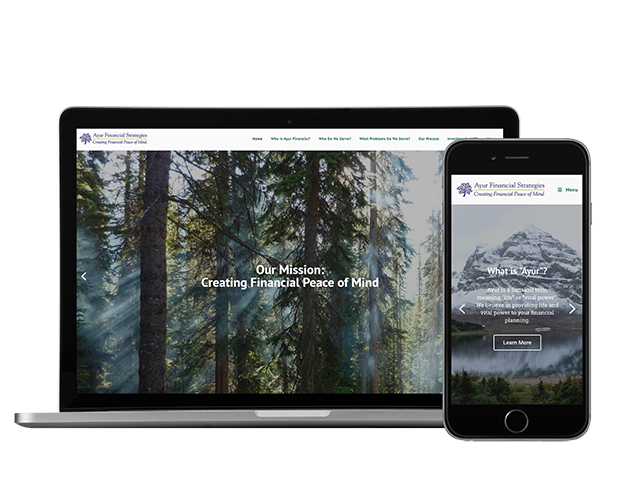 Instead of one large lump sum for a financial advisor website, we charge a manageable down payment and small monthly fee. Pricing includes a website refresher every 24 months so you’re always current. Really, our goal is to deliver a financial advisor website experience that lets you stay, grow, and evolve with us. 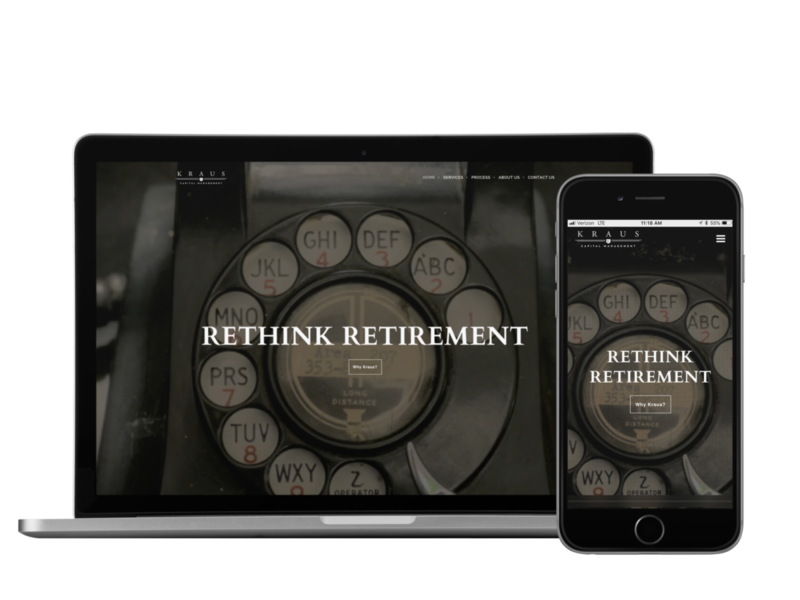 Your financial advisor website will take two months or less, depending on the complexity. In other words, we’re quick. 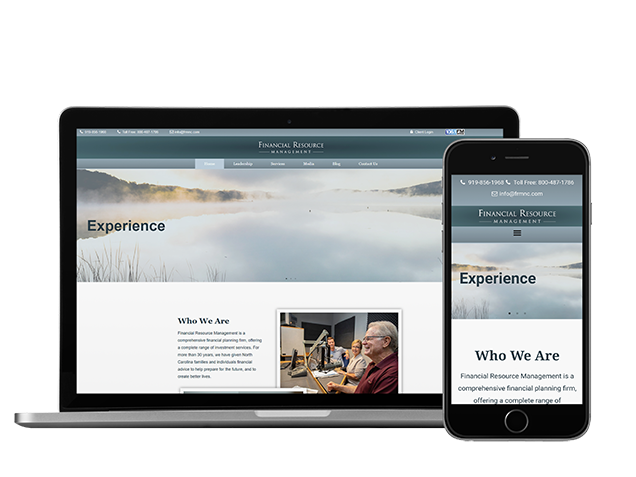 When building financial advisor websites, we start with an intake form that provides a glimpse into what you’re hoping to achieve. 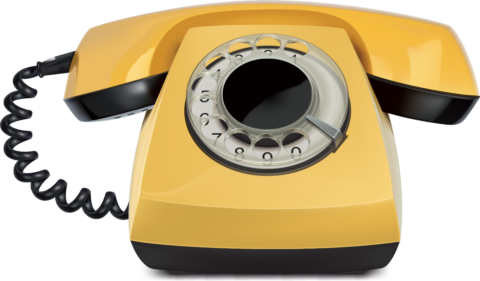 From there, we have a series of calls to formulate a mockup of your unique design and functionality. Then, when you’ve agreed to the mockup, we move forward with the build. Ultimately, after a series of revisions, when you and your compliance have given your seals of approval, we launch your new website. 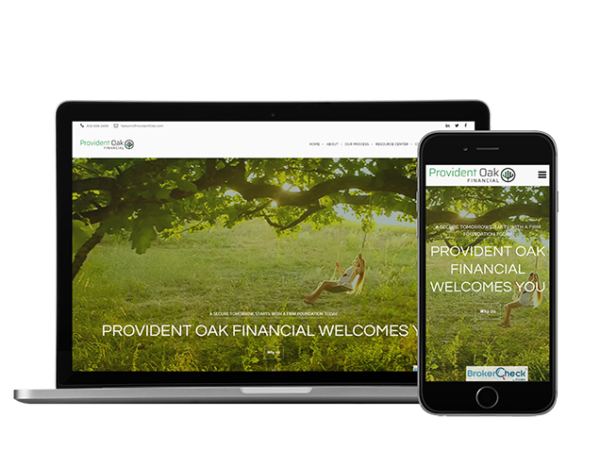 Absolutely, our financial advisor websites are completely editable. Adding new articles, editing text, and adding new team members are all things we’d like you to know how to do. What if I have edits to my website after the design is launched? 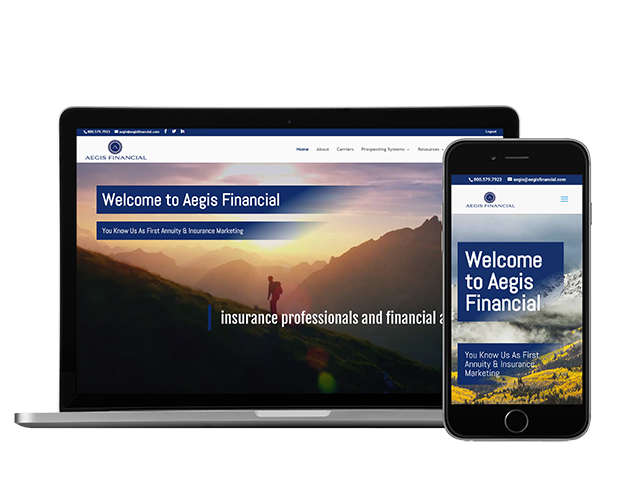 Basic changes are included in your monthly fee for our financial advisor websites. If the changes require drastic redesign, we’ll give you a reasonable quote for moving forward. Do you handle the hosting? 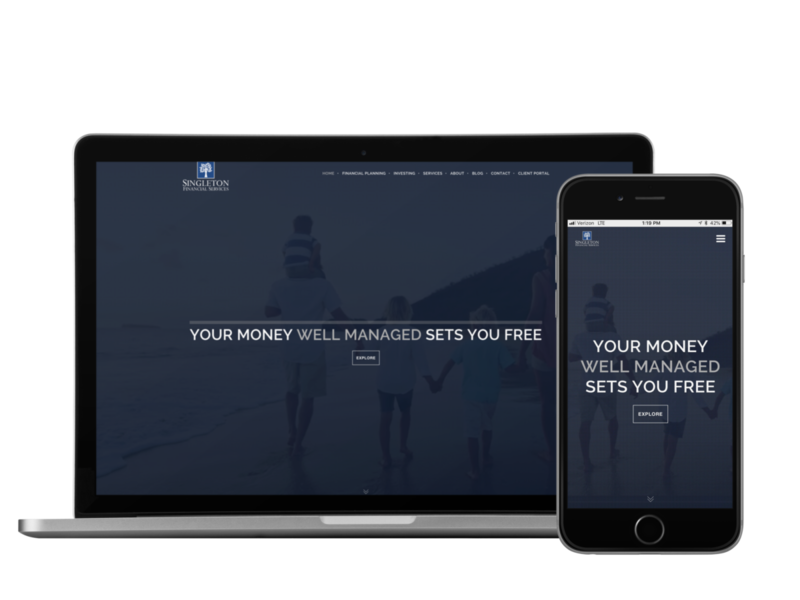 Yes, hosting is part of our financial advisor websites package. We even cover the fee. We strive for maximum uptime and make regular backups. I've seen ads for cheap websites, why shouldn't I work with them? 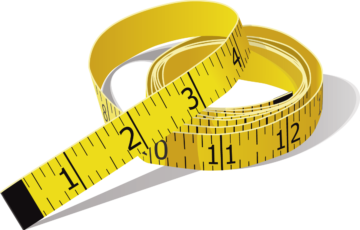 If you like cookie-cutter, slim-featured websites, go for it. Otherwise, if you want a high end financial advisor website, we’re a great fit.